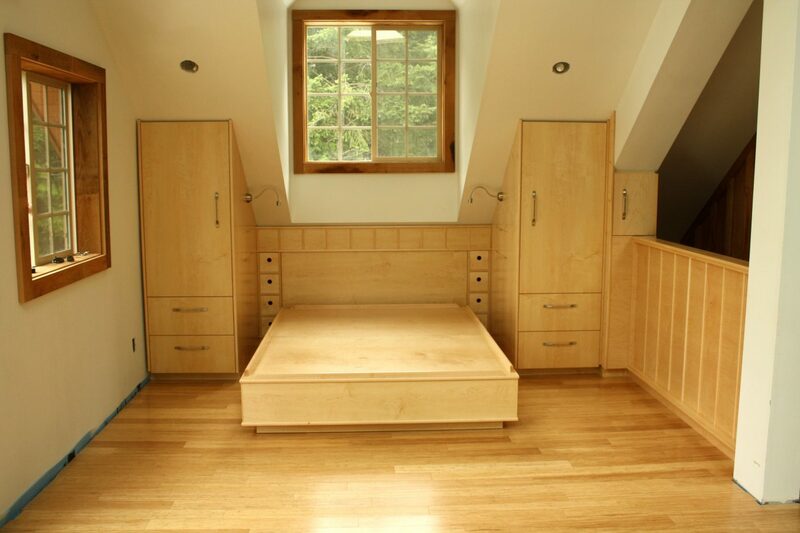 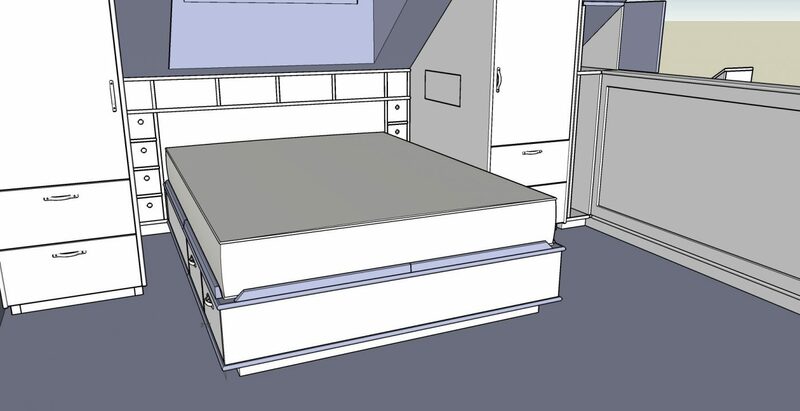 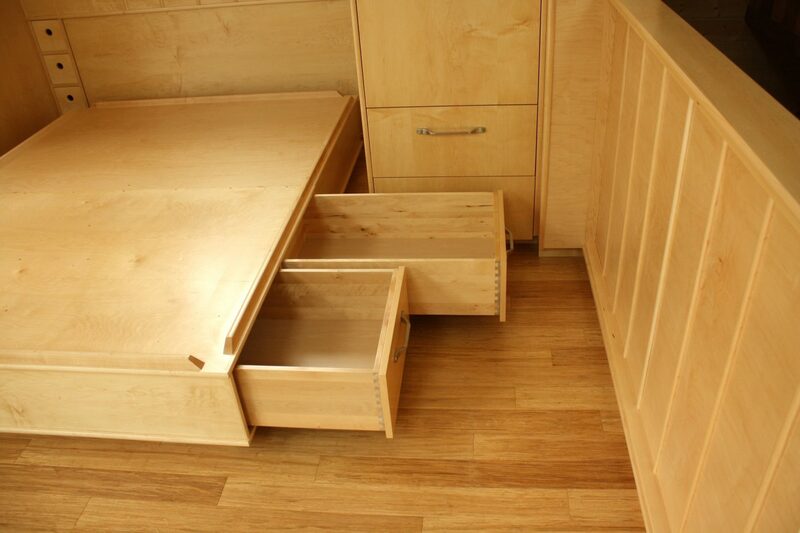 We created this built-in bedroom suite for a cabin on Sidney Island near Victoria B.C. 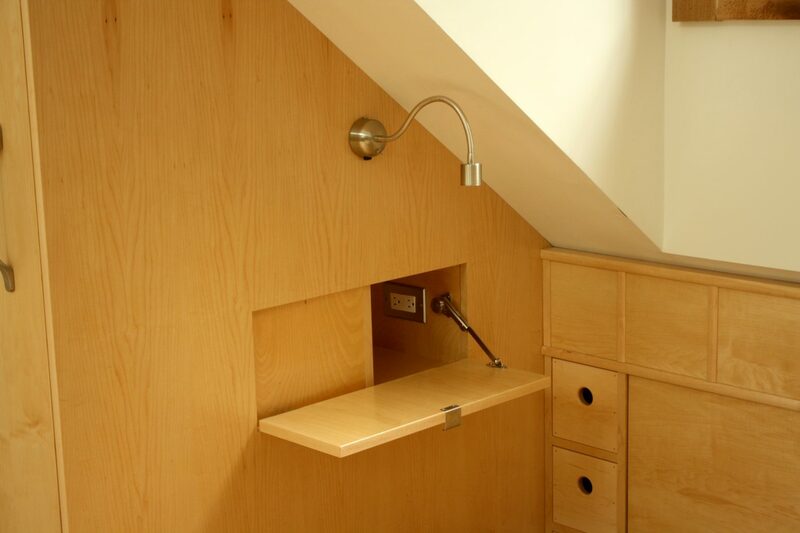 The room featured low, sloped walls where the ceiling vaulted, so the cabinetry was built to fit. 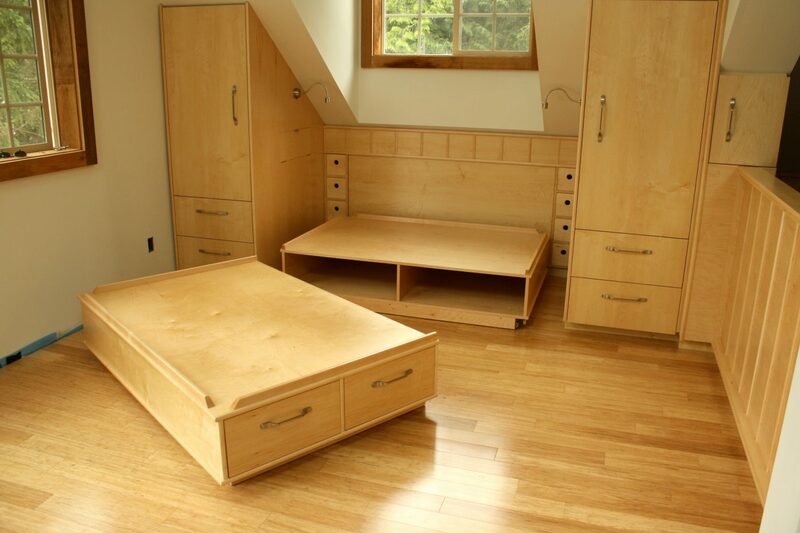 The suite is built using maple veneered sheet plywood and was designed to maximize storage in this open living space. 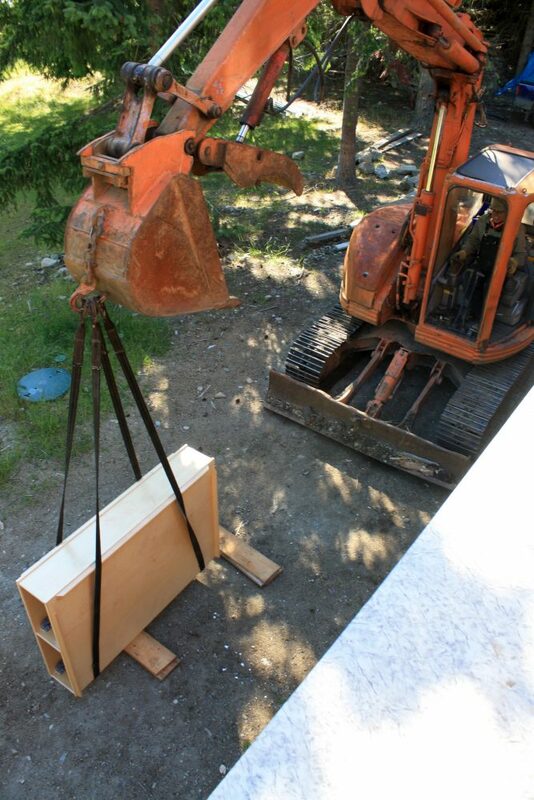 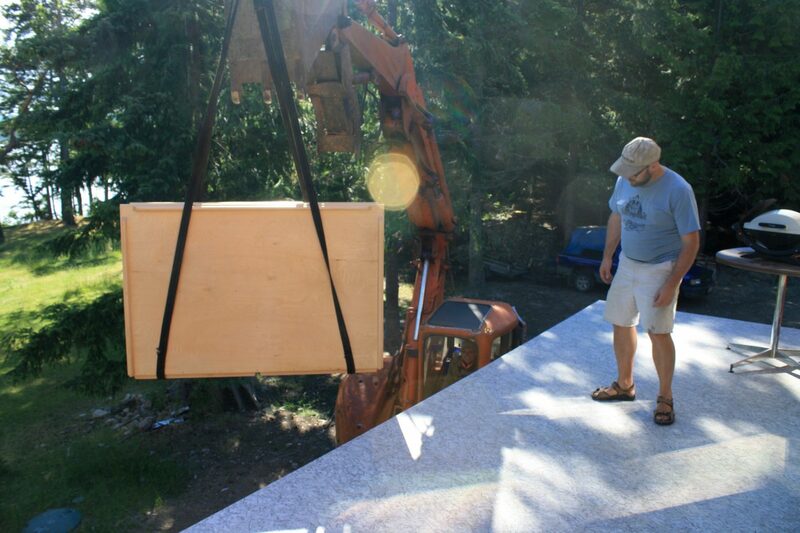 The cabinetry was fabricated in the shop and required a backhoe to lift the larger components up to a deck and into the living space.